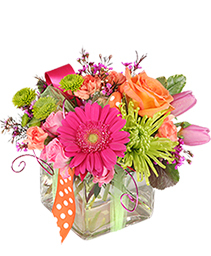 Let our talented designers make your arrangement one to be admired by all. Enjoy a Hand crafted and poured locally, all natural, soy candle along with this arrangement. 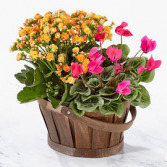 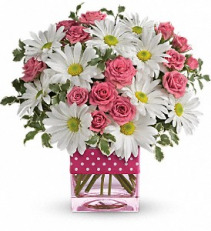 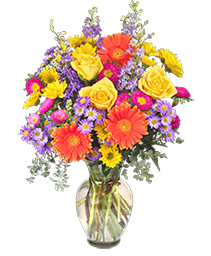 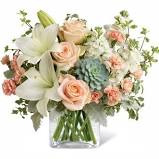 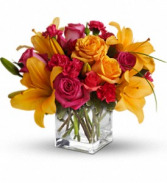 FTD Blossoming with bright beauty and a color palette that exudes charm and cheer at every turn, The FTD® Sunlit Meadows™ Bouquet will be that perfect gift for any of life's special moments. 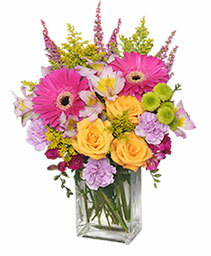 Uniquely beautiful and uniquely bright, this is a bona fide bombshell of a bouquet. 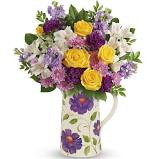 ftdFTD® proudly presents the Better Homes and Gardens® Purple Prose™ Bouquet. 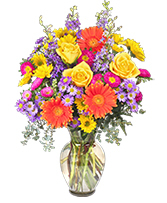 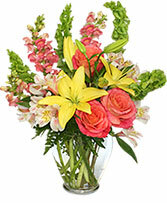 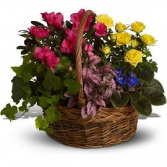 A fresh flower bouquet that speaks in the tones of love and caring kindness.